Your data is always encrypted, both in transit and at rest. Bluefactory Backup store data on Amazon S3 and use server-side encryption (AES-256). You can choose your backup location from 10 different locations (North and South America, Europe, and Asia). For each backup, you have a complete report about your data. 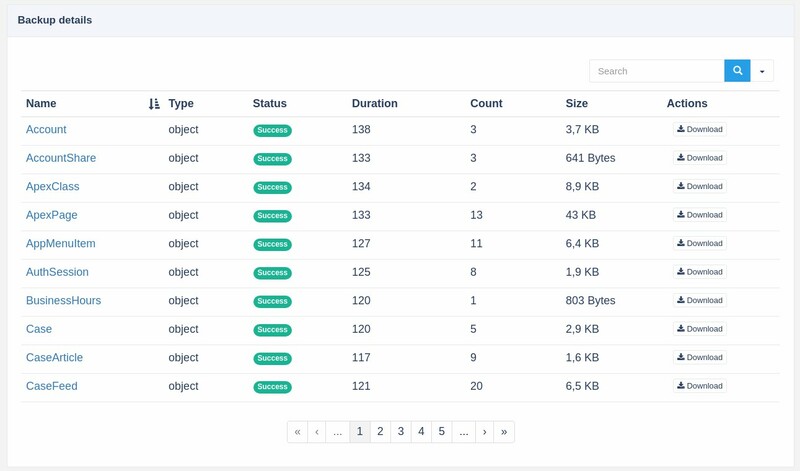 You can easily view and analyze backuped objects, records, and files. With our backup report, you can identify issues quickly. 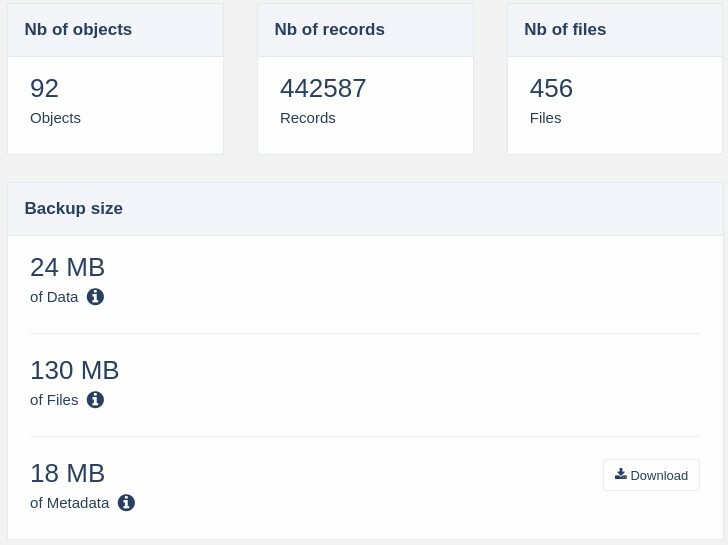 Compare data from 2 different snapshots to identify and isolate all affected records for recovery. All your records are available as CSV files. The attachment is stored with the correct content-type. We believe that a full data recovery is not a realistic option when data loss is detected. We provide a smart feature to recover the required data quickly.